Today I’ve remembered this scene of The September Issue, where Grace Coddington is in Paris. I really like the way she talks about inspiration and her awe while facing the unrivaled beauty of Versailles. Grace Coddington is US Vogue’s Creative Director. She recently published Grace: A Memoir. Hoy he recordado esta escena de The September Issue en la que Grace Coddington está en París. Me encanta la forma en la que habla de la inspiración y su sobrecogimiento ante la belleza insuperable de Versalles. 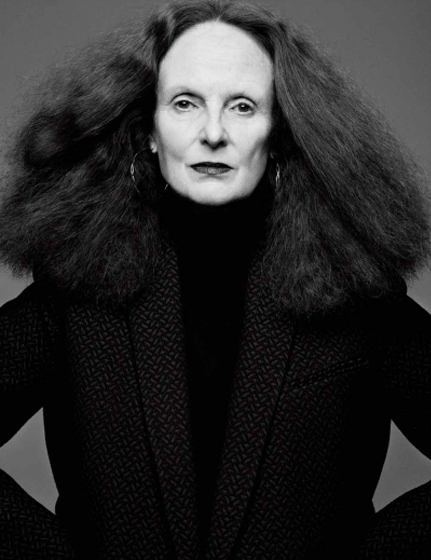 Grace Coddington es la directora creativa de Vogue USA. Recientemente publicó el libro Grace: A Memoir. Posted in Anything, everything, Books, Fashion, Vogue. Bookmark the permalink.